10. Have a great reading! 11. Contact us with a Post-Event Form, let us know how it went, and share photos, videos, press coverage, etc. Readers theater or theatrical productions require more preparation – contact us to talk through some of the process that might be involved. We are happy to help you throughout the process of organizing a reading – please contact us if you have questions, need to talk through some of your plans, get new ideas, or just want a little support and reassurance. We want to help you have a successful event! The Project Unspeakable script can be produced very simply as a living room or classroom reading, a readers’ theater presentation, or a full-scale theatrical production. Classroom or Living Room Reading: invite a group of friends or other guests, send them a script with their parts assigned, and have them highlight their parts in the script so they won’t have to search for them as they read. Then have them read over their own sections to be familiar with them before the reading. Finally, all gather, read through and discuss. • to read over their sections before the reading, so that they are familiar with their own parts (there is no requirement for readers to pre-read the whole script, unless they choose to do so). This is important so that the reading itself doesn’t drag, and so that the readers will be free to listen to what others are reading. Note: You can do these reading with more or fewer people, distributing roles as you like (see casting and directing suggestions). If you read the script with fewer people and there are no audience members, you may decide to have each person read a page, or have each person in a circle read one character’s line and the next person in the circle read the next character’s line (not assigning parts), etc..
You will need to arrange for someone (or yourself) to facilitate a post-reading discussion among the participants. (For some suggested discussion questions and facilitation tips, see Encouraging Discussion.) 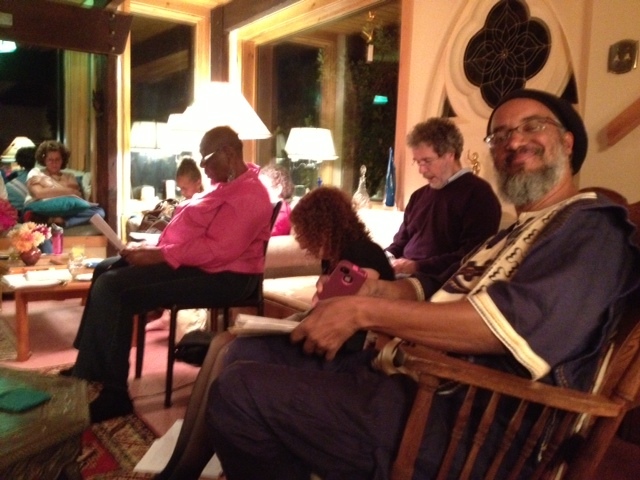 Please remember that a Living Room Reading can be attended by other people besides the readers—friends and neighbors who listen and discuss without reading themselves. 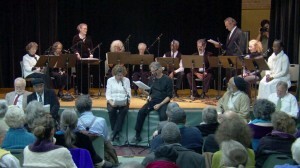 A Readers Theater production, where with one or two (or more if you choose) rehearsals, a group of readers publicize a staged reading, and invite an audience to witness the event, and then discuss it. Readers might be a mix of actors, community leaders, activists or other interested parties. The rehearsals will bring the reading to a level of polish that will make it worthy of audience attention. You may want to invite a “director” to help make the reading as effective as time allows. You might also include visual media and/or music to enhance the production. Check with Project Unspeakable to see if materials are available. Full production of the play. This would mean mounting the production in any way that feels creative and effective for the company, director, etc. It is also possible that theater organizations wanting to consider a full production might want to do either of the less formal readings above on November 22 or other anniversary dates, and then use that event as a test run for a possible full production in the next season, or whenever. Please remember that we are asking all groups to contact us before you begin to use the script for any event. Based on information you provide about your planned event, we’ll make sure you have the appropriate information and permissions about using the script, and also ensure that you have good support to make your event a success. Making the information from the play visible, raising questions, and daring to speak the unspeakable are major goals for this Project. Publicizing your event (if it’s open to the public) and producing helpful written materials are important ways to spread the word. Don’t let “fear of PR or publicity” stop you from organizing a reading. These are publicity suggestions – but even if your publicity efforts are minimal or non-existent, your participation in a reading is vital to unfolding the truth.